CAD: Following yesterday’s dovish BoC hold, the Canadian Dollar has weakened further with the latest dip caused by the renewed sell-off in oil prices ahead of the OPEC meeting. Today saw BoC Governor Poloz raise concerns that the economy may slow further than expected, adding that oil prices are significantly below the BoC’s forecasts in October. USDCAD hovers above 1.34, a break of 1.3450 keeps the uptrend intact. AUD: The Australian Dollar is on the backfoot once again as trade war optimism fades rapidly after the Canada arrests Huawei’s CFO at the request of US authorities. Consequently, this has put positive progress on trade discussions between the US and China in doubt, in turn weighing on the AUD. Alongside this, while RBA Debelle highlighted that the next move in interest rates is most likely up, the rate setter did note that there could be scope for a cut, further prompting a pronounced sell-off in the AUD. 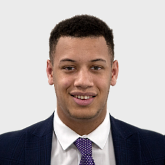 Oil: WTI and Brent crude futures sold off heavily in the European morning as the Saudi Arabia signalled that not only were they prepared for no agreement to cut production but also that cuts may be around the 1mbpd mark, which is slightly below consensus (1.2-1.3mbpd). Elsewhere, the spill-over from trade war concerns added to the bearish sentiment in oil prices. Official OPEC announcement scheduled from 1500GMT. 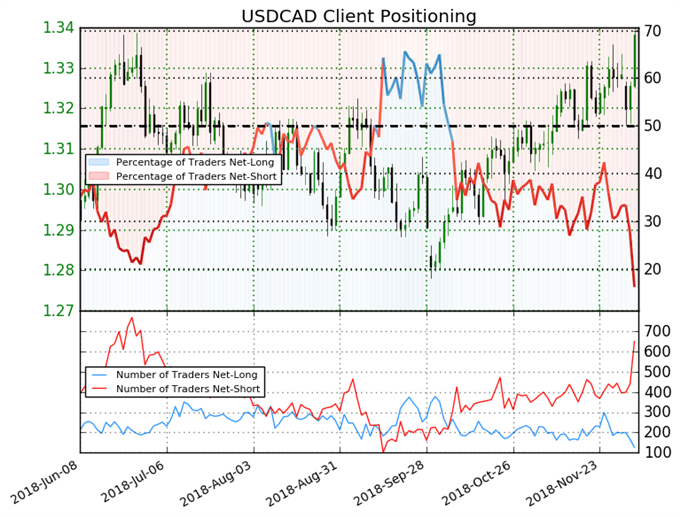 USDCAD: Data shows 16.3% of traders are net-long with the ratio of traders short to long at 5.15 to 1. In fact, traders have remained net-short since Oct 09 when USDCAD traded near 1.28092; price has moved 4.5% higher since then. The number of traders net-long is 45.7% lower than yesterday and 49.8% lower from last week, while the number of traders net-short is 48.2% higher than yesterday and 23.4% higher from last week.